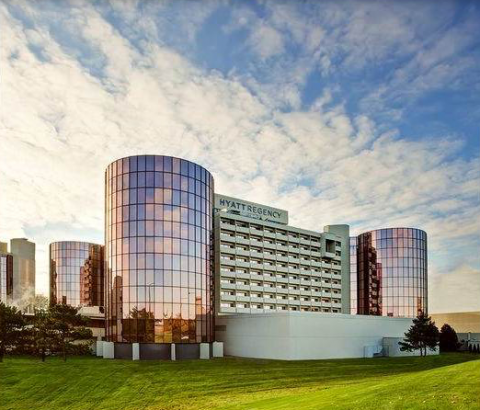 Hyatt Regency O’Hare offers the perfect combination of stylish spaces, convenient location, and premium amenities for an easy and relaxing stay away from home. Stay productive in their state-of-the-art business and meeting facilities, work out in the 24-hour fitness center and dine in one of their unique restaurants. The O’Hare hotel with airport shuttle service will be happy to help with transportation arrangements to and from O’Hare International Airport. The special room rate of $159 has been established to make your reservation process easy. Simply call (847) 696-1234 and give the group name Powergrid. You must make your reservation no later than March 19th, 2018. For your convenience, the special rate has been extended to three days before and after the conference. You can also use the booking link below to make a reservation online. IQPC does not contract with any third party vendors to provide hotel reservation services. Any company saying or implying they are affiliated with the SSON event for this purpose is not being truthful, and they cannot offer you the terms IQPC has negotiated with the venue.